You can add screen printing to any Apparel, warmup or bag that has room for printing. The # of colors you print does not include the garment color. So if you want white/gold and your singlets are white, you only need 1 color (gold). 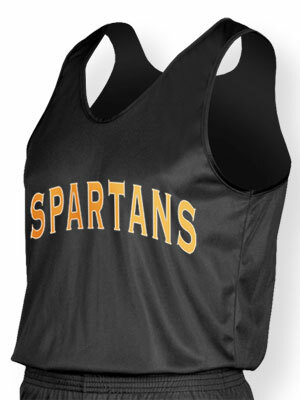 Printing light colors on a dark singlets needs a white underprint so the garment color does not darken the ink color. If you have any doubt as to how many colors you need, call us at 800-676-7463. 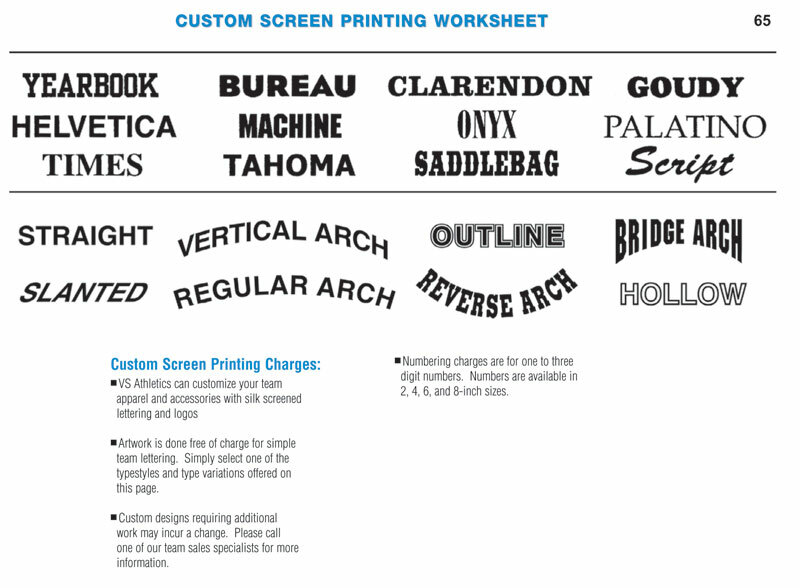 Screen Printing Charges: Every order has Setup and Print charges. Setup is a per-order charge, Print is per-item. SCREEN SETUP: $35.00 PER COLOR., Repeat design: $15.00 per color. INK CHANGE CHARGE: $10.00 (required if you want the same design in different colors only). The wesbite will assume a new screen is needed. 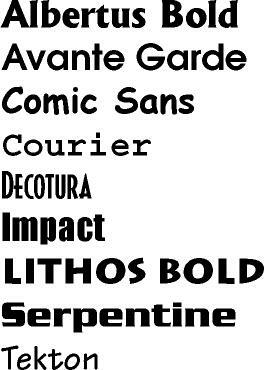 If it is a repeat design, we will credit you the difference. In you need an ink change, please call to handle screening entirely. Numbers: We offer 2",4",6" or 8" numbering that are silkscreened 1 color only. Please include a list with your fax/eamil if you want specific numbers on specific sizes. PLEASE ALLOW 2-4 WEEKS FOR DELIVERY OF CUSTOM SCREENED ORDERS. Type 1 Color Screen Front 2 Color Screen Front 1 Color Screen Back 2 Color Screen Back Print 1 Color Uniforms,T's,Bags ea. Print 2 Color Uniforms,T's,Bags ea. Print 1 Color Spandex/Lycra ea. Print 2 Color Spandex/Lycra ea. Print 1 Color Warmups ea. Print 2 Color Warmups ea. 2in. Numbering Front ea. 2in. Numbering Back ea. 4in. Numbering Front ea. 4in. Numbering Back ea. 6in. Numbering Front ea. 6in. Numbering Back ea. 8in. Numbering Front ea. 8in. Numbering Back ea.